The battle between two inexpensive, highly portable, big battery powered electronic flash units. Who wins? Godox AD200 200 w/s Flash System in bare bulb mode. Neewer Vision 4. 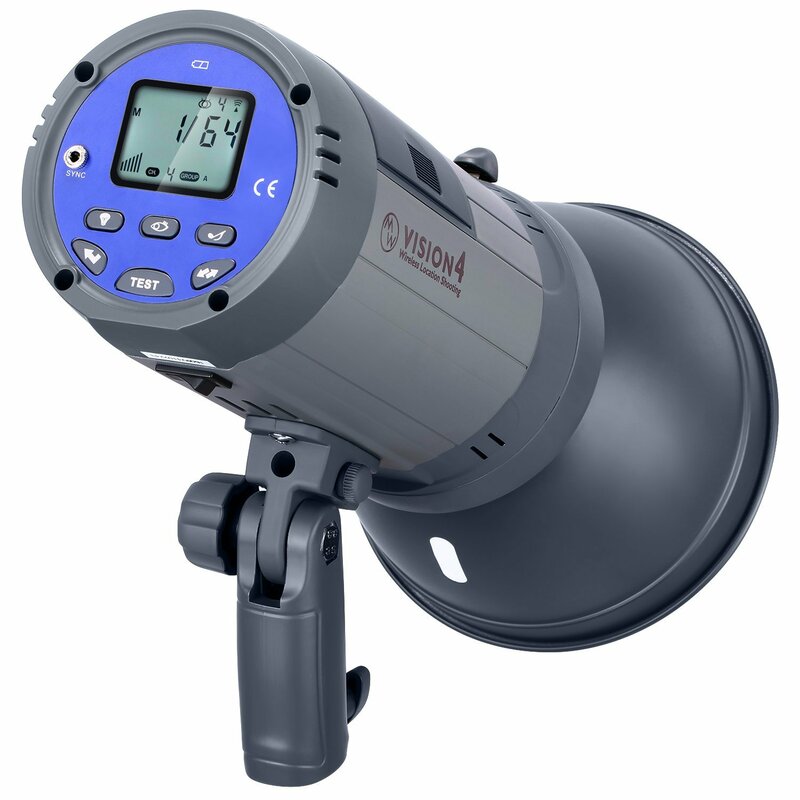 300 watt/seconds flash system with included reflector. Flashes started to be fun again when normal sized, shoe-mount flashes started sporting rechargeable lithium-ion battery packs and providing great performance for what would once have been considered to be pocket change. I bought a small selection of Godox and Neewer branded flashes to make a thoroughly reliable and professional, barebones flash system for those times when my subjects have to be lit but I have to be able to carry everything into the shoot in a backpack. Coupled with great triggers those flashes do their part and even serve extra duty by working as additional background lighters in shoots that call for full white backgrounds. The lithium batteries go a long way toward making convenient lights packed with the power to go through hour long shoots with aplomb. But just when I settled down and accepted that there would still be times when I might need the 500 watt seconds put out by my "plug in the wall" Photogenic monolights, or my remaining Elinchrom 500 watt second monolights, I happened to come across the Godox AD200 (a model sold under a handful of different company names...). Here was, seemingly, the best of both worlds. 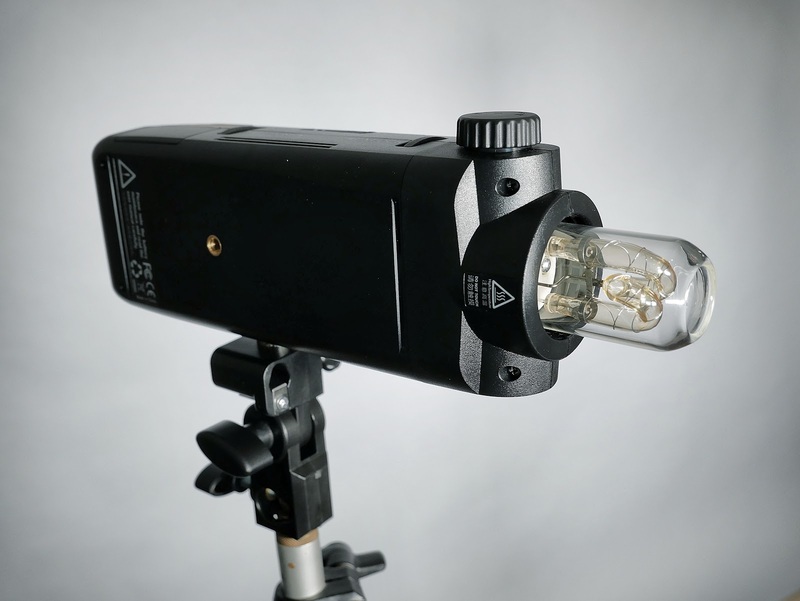 It's a flash that kicks out 200 watt seconds of power and comes with a fun accessory; an interchangeable bare bulb head. Why should you like a bare bulb head? 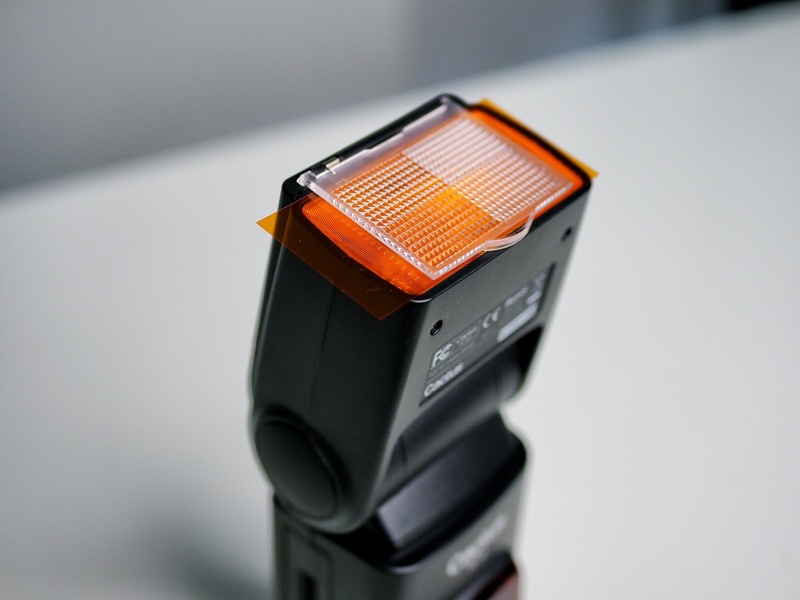 It's probably the perfect way to evenly fill a big softbox. The benefits of the AD200 are that it packs a lot of power into a small package. That, and the use of a big, robust rechargeable battery pack, convinced me to pick one up for the princely sum of $300. I still think it's a good deal and it's joined my extreme portable flash system as the main light, which I use in a big Phottix 47 inch octabox. After using it on a number of projects (We're currently gearing up for job #86 for the year....and we've got a lot booked between now and the end of the year...) I was ready to take the plunge and buy one or two more with the idea of finally getting rid of the plug in the wall dinosaurs. Side note: there is profound pleasure, after years of taping down electrical cables for safety, at not having to find a wall socket and run extension cords in order to put a flash somewhere. Trust me, it's a big deal. As I was getting ready to order I glanced around the consumerverse at Amazon just to see what else was available. It was then that I came across the second flash in this review, the Neewer Vision 4. The Neewer unit (spell check hates that extra "e".....) weighs in at four pounds and has a removable lithium ion battery that fits into the body of the flash in what I think is a very nicely done design. The flash unit is being touted in their online advertising as having been: "Designed in Germany." And I do find it more elegant and solid than most of the lower priced flashes. This unit also uses a low powered LED as a modeling light. So, when it comes right down to it which flash wins? Right off the bat I'll say that if you don't need to relentlessly miniaturize the stuff in your life I'd go with the Neewer unit, hands down. 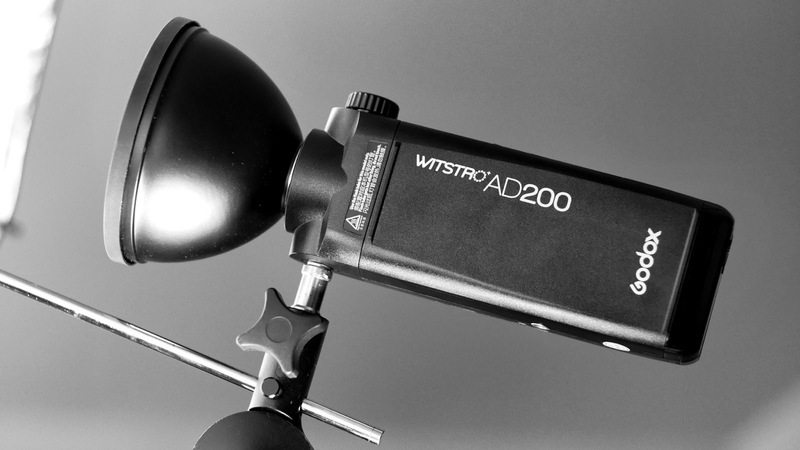 Using the Godox AD200 with a softbox or octabox requires a second stand adapter with its own speed ring adapter to mount up everything. The unit is commendably compact and so far has proven to be reliable but that smaller form factor means less effective heat dissipation, and every now and then the flash pauses to recover from overhead (we're talking about brief, one or two minute pauses after over 100 quick, half power flashes; it's less heat sensitive with the bare bulb head mounted. But there it is....). Also, the mounting accessory to put the Godox AD200 on a light stand needs a lock washer between the mounting stud and the flash body to keep the flash from unintentionally swiveling on its mount. Finally, while you gain some automation in the form of TTL and high speed sync the LCD panel is smaller and much less intuitive. But here's the big deal: When I bought the AD200 I thought it was fairly priced for the amount of power and flexibility one received. It was $300. I spent an additional $25 on dedicated reflectors and diffusers as well as another $20 on a soft box adapter. When I bought my first Neewer Vision 4 unit it came with a very robust, integrated stand connector which can also double as an "off-stand hand grip" if you wanted to have an assistant hand hold the rig and position it for you as you shoot this is perfect. It also came with the standard Bowens type reflector. And the remote trigger. The total price at the time was $259. After using it to do a number of headshots last night with a big octabox I decided, finally, that I liked it so much that I actually would replace all of the last century A/C powered mono lights I've accumulated and use two of these as my main lights and the AD200 as a background or accent light. When I went to order another unit I discovered that the current price is, right now, an amazing $219. I'm honestly a bit astounded. I've paid much more for much, much worse flashes. I paid nearly $600 for a recent Nikon flash (model number repressed by my memory of its horrible-ness) that overheated if you shot more than 10 full power flashes in a row. It would shut down completely and you had to remove the batteries and let the unit cool for ten full minutes before it recovered from it's diva swoon. Then there was a similar Sony equivalent made around the time of the original a99. It was a complete stinker as well. And equally expensive. 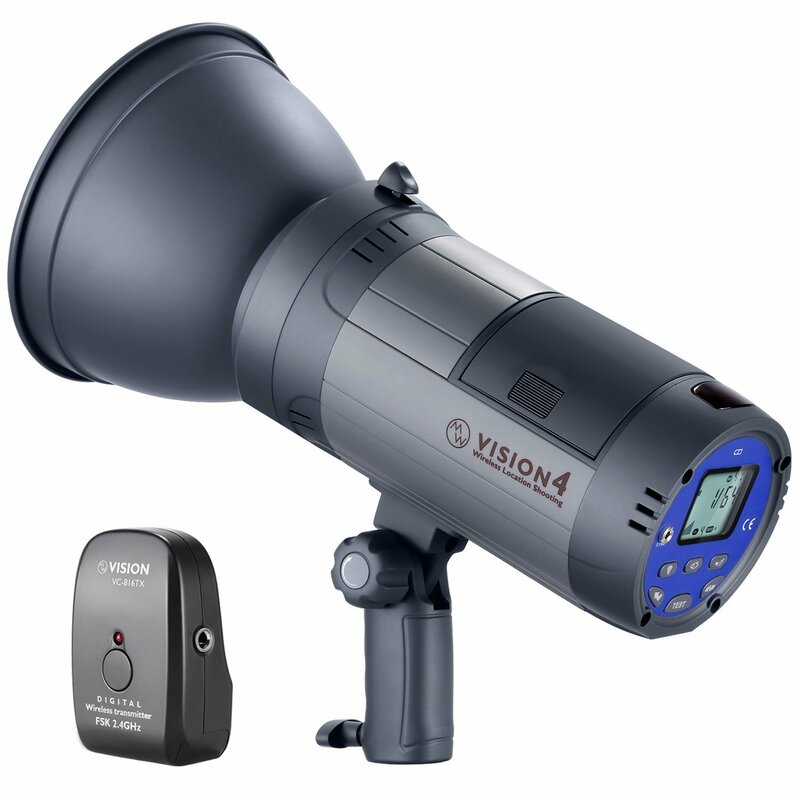 So, to be able to buy a much more powerful flash, the battery of which will deliver up to 700 full power flashes at 300 watt seconds before the need for a recharge, with no dramatic, mid-shoot swooning or sissy behavior, for a mere $219 is amazing to me. I have cables that cost more. The performance, pricing and power of the Neewer Vision 4 makes it an incredible bargain. I did purchase a second unit. I clicked the link yesterday evening and should see it arrive on Monday. I'll charge the battery and put the new flash through its paces but I'm confident it will be a real winner. Given the choice between these two units I would always pick the bigger Vision 4 unit. The one exception would be times were I need to carry everything by myself ---- for long distances --- then I think I'd consider bringing along the AD200 as a main light. But I might just default to one of the many fine, smaller, but no less capable units I own, like the one at the bottom of the page. It delivered the goods at last week's gala. The light was sweet. Stunned by a price drop to $219. A reflection of people having too many choices? Or not enough advertising on the part of the vendor?